Shutterbugs can anticipate a photographic adventure like no other, led by famed photographer and Global Leica Akademie Ambassador Marc Stickler. 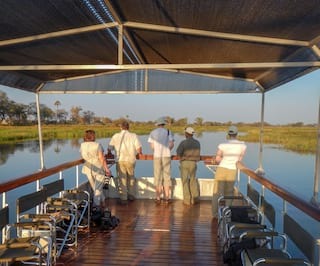 Discover the wonders of Botswana as you explore via helicopter, boat and 4x4. With Marc’s guidance, plus Leica S Cameras and lenses provided, you’ll return home with photos to cherish for a lifetime. Marc Stickler is a marine and wildlife biologist, based in Salzburg, Austria. His past research has focused on Lemon Sharks in the Bahamas and Mountain Gorillas in Uganda. He lived in the Okavango Delta whilst conducting his thesis on the social behaviour of Chacma Baboons. Conservation and sustainability are key themes of his work. 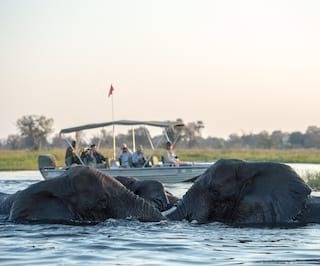 Arriving from Johannesburg via Maun, begin your adventure at Africa’s ultimate water-focused safari. 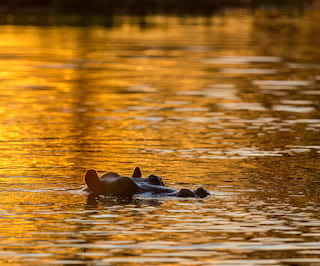 Whether travelling by motorboat, traditional mokoro canoe or helicopter, you’ll see the wildlife like never before. Marc will provide guidance on how to capture each moment. He will also share his knowledge with you around the campfire, shedding light on topics including flora and fauna, climate, sustainability, history and culture. Continue your adventure at our newly redesigned lodge to offer a truly timeless adventure in the spirit of history’s greatest explorers. Enjoy morning and afternoon game drives, bird watching and stargazing, excursions to see ancient Bushman paintings and a traditional Boma dinner. View some of Marc Stickler's best images and anticipate the journey of a lifetime.